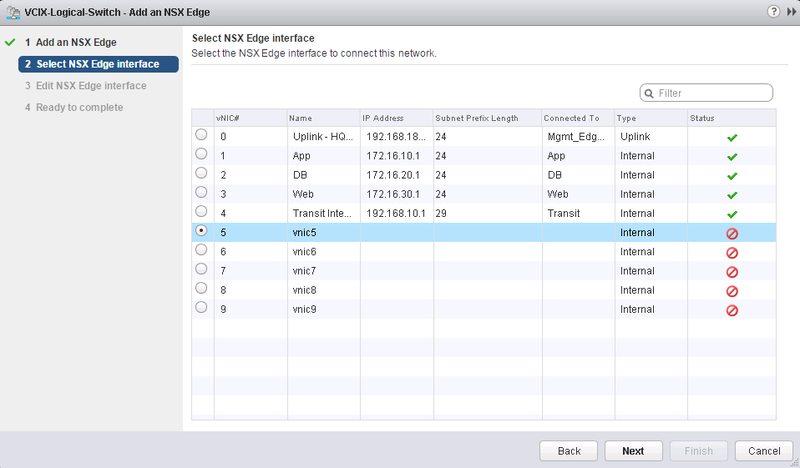 In this section, we will attach a logical switch to an NSX Edge. 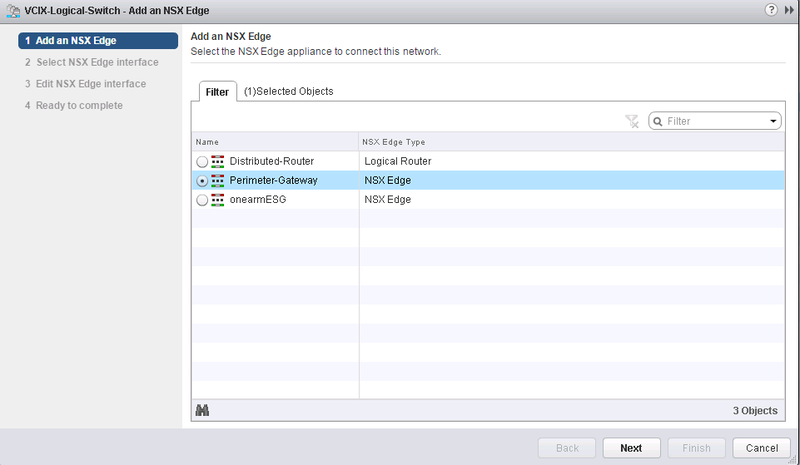 The NSX edge can either be the Edge Services Gateway (ESG) or a Distributed Logical Router (DRL). You can think of this as attaching a switch to a router in the physical world, the concept is the same. Step 3. 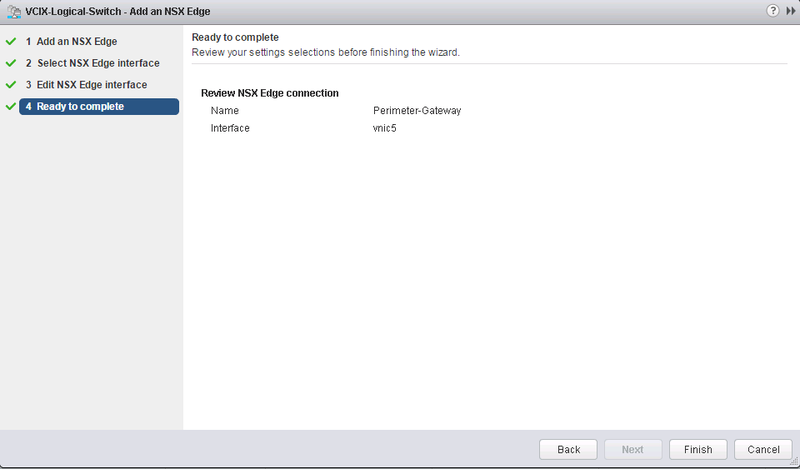 Select the Edge Interface that you would like to attach then click Next. 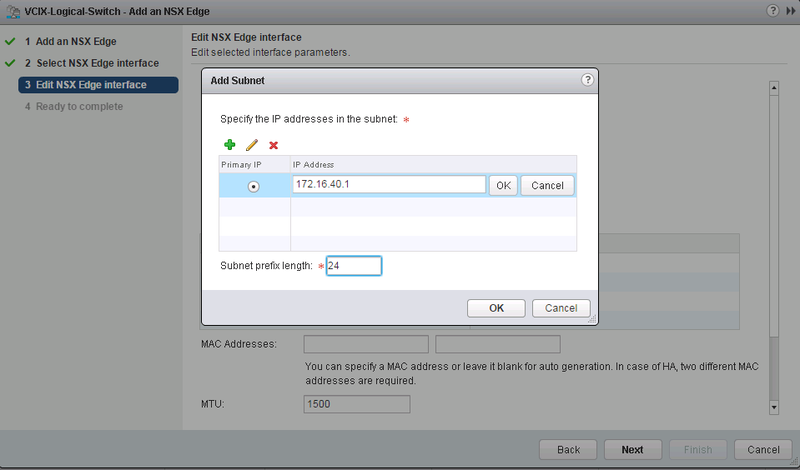 Note: The ESG has 10 interfaces by default, I am selecting a new one so I will have to assign an IP address. Step 4. 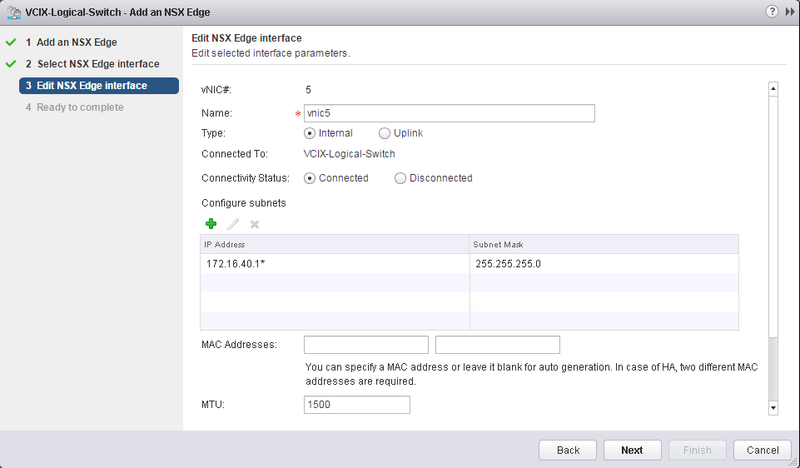 Provide a Name for the interface, leave Internal selected, and change the Connectivity Status to connected. 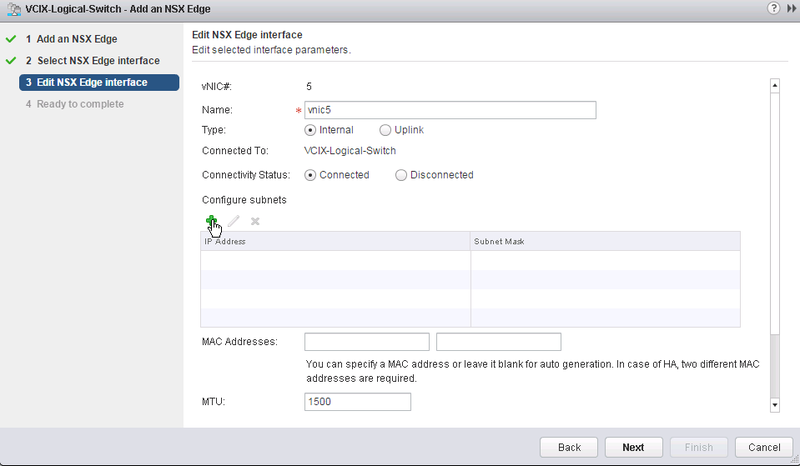 To configure the IP for the interface, click the + icon. Your Logical Switch is now connected to your ESG (or DRL)!